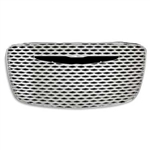 Presenting a fast, easy, and inexpensive way to add the look of a chrome car grille! 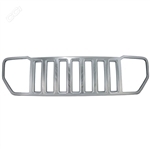 The Impostor Series of grille overlays are application specific and engineered to fit precisely over and into your original factory grille. No drilling, cutting or bolting to deal with. 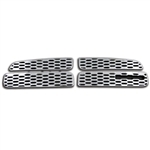 All of our Impostor Grille Overlays either snap into place or are installed using pre-applied two sided tape. 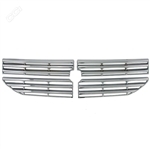 Look below or search by make and model in the top menu to see what Impostor chrome grille overlays are available for your vehicle! 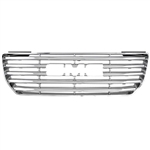 Our grille overlays are made from automotive-grade ABS and chrome plated for a long lasting shine. 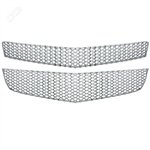 Within minutes CCI Grille Overlays upgrade your vehicle’s looks while matching all factory chrome trim. 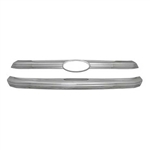 Install with confidence as all CCI Grille Overlays come with the manufacturer's limited lifetime warranty.